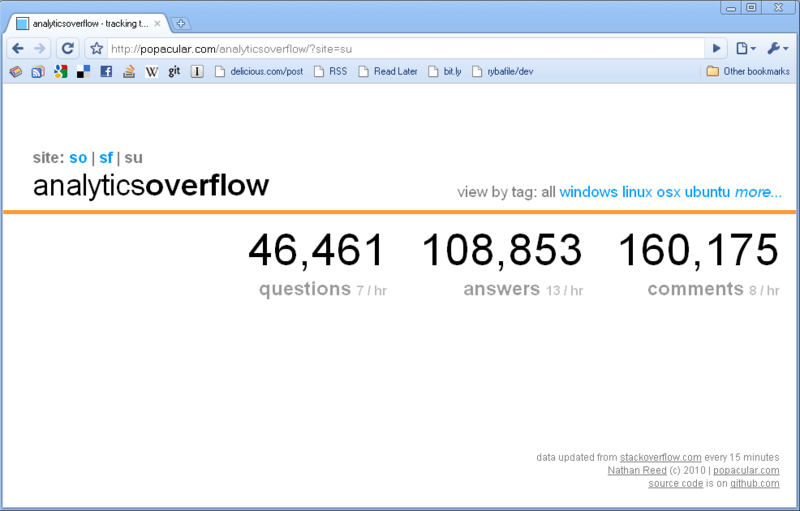 Question, answer and comment counts for stackoverflow. The individual tag pages show a graph of the question counts over the last fortnight. Update: Now gathers and displays data for all 3 trilogy sites. 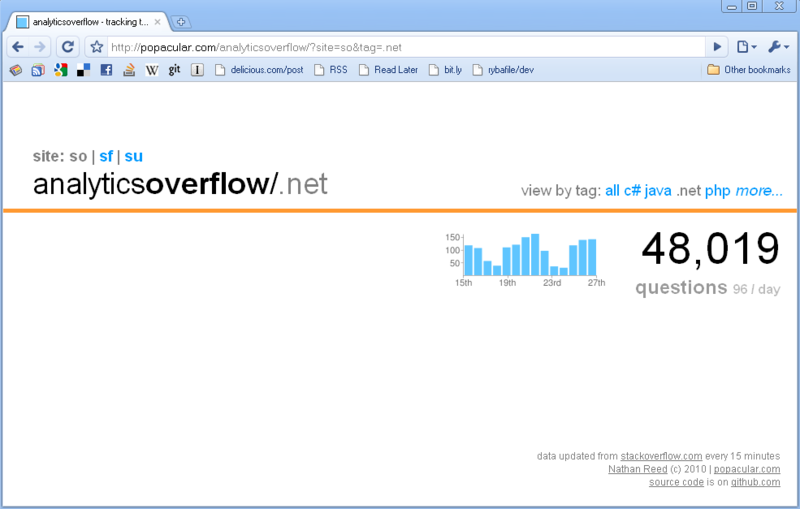 It's written in ruby and running on mysql+apache. The code is not impressive, but it is up on github. It was originally implemented a month or so ago using a screenscaper to get the data, and has recently been converted to use the api. You could also display the top (10) tags per day/week/month. A search form for checking arbitrary tags would be nice too - you only link to a very small few. Bonus points for autocomplete. Not the answer you're looking for? Browse other questions tagged app ruby .